The Anti-Social Behaviour Order or ASBO as it's normally referred to entered UK law in 1998 as part of their Crime and Disorder Act. The ideal behind the ASBO was to tackle the growing problem of anti-social behaviour that many communities in the UK were suffering from. The ASBO is usually issued a magistrates' court in England, Wales and Northern Ireland, and by the Sheriff's Court in Scotland as a means of handing out a punishment to very young offenders without giving them any kind of custodial sentence. Note that the local authority in your area can also apply for an ASBO against an offender and also Registered Social Landlords and Housing Action Trusts. ASBOs can only be issued to an offender who is 10 years of age or over. The government introduced the ASBO to give the police powers to tackle anti-social behaviour. As a long-term initiative to improve social responsibility across the UK, the Respect Action Plan was developed. This aims to improve how everyone in society relates to each other by developing stronger communities. You can read more about the Respect campaign on a dedicated website: www.respect.gov.uk. The police are always keen to try and tackle anti-social behaviour in its early stages before it has a chance to develop any further. Early interventions as they are called can mean that the police write to anti-social behaviour offender, or visit their home. Fixed penalty notices can also be used for some offences such as graffiti to deter any further incidents. For young offenders parenting orders and Individual Support orders can be used before an ASBO is issued. What can I get an ASBO for? Use verbal abuse or otherwise harass passersby. Cause criminal damage. This is the destruction of property belong to someone else. Drink alcohol or smoke under age. Visiting areas that the police have said are out of bounds to you. Continuing with the behaviour that ASBO has been issued against. Gathering with a group of people the police have said contravene the ASBO order. An ASBO is an order that is placed on an offender. The ASBO will usually last for a minimum of 2 years. An ASBO does not indicate that a criminal offence has taken place. This means that the ASBO will not appear on your criminal record. However, if you break the terms of the ASBO this is a criminal offence and could result in up to 5 years in prison and a fine. If the police believe you have broken your ASBO, they will take your case to the magistrates' court, but some cases could be referred to the Crown Court. Where can I get a copy of my sons ASBO ? He Is in prison and due to be released soon but cant remeber the terms of his ASBO. He would have to get in touch directly with the court where he was charged. @Steviej - you can't personally take an asbo out on someone. Total avoidance is the best solution! My daughter aged 20 keeps getting verbally abused and harassed by a set of twins every time she goes out for a drink with her friends. She is adult enough to not lash out but is becoming more and more frustrated that nothing gets done. The police say it's her word against theirs and will not do anything as there is insufficient evidaence. Can I apply for an asbo or injunction against the twins evennthough they have no family connection,? Failing this I think my daughter will take the law into her own hands and deck the twins but will then become the perpetrator which should not be the case. Any advice would be greatly appreciated. Last summer I was threatened by a teacher,s wife all because I moved some wheelie bins away from my fence,was told by member of housing association to put a sign up asking politely to refrainfrom putting bins against fence ,next thing I know I'm getting a visit from complaints officer stateing that my 3 children have been complained about by most pple in the same street never did explain to me what they meant to have done, so was issued with an asbo both my self and eldest daughter ate carers so she hardly ever at home and 2 youngest have been subjected to constant bullying and harassment since last year.been told by housing officer to keep my mouth shut and mind my own business. What can I do? @ROB - once it ends it ends. But you'd best check the official date with the police. I was issued with an ASBO at Oxford Crown Court on the 12th of November 2009. The ASBO was to last for 10 years.Does this mean that after the 12th of November 2019, I will have no ASBO to my name, even though the initial 9 months were spent in prison (Bullingdon)?Best wishes. Why don't we have any independent law firms in England trying to push back against abusive authorities who are using the ASBO and the tritet of acts to pacify political opinion among the electorate? When will my rights be observed and placed above the feelings of the nearest local authority employee? Why are we permissive of the social and genetic engineering that is being enforced through the lowest courts? Why am I being subjected to attitude re-adjustment when I have a fine direction laid? Who will answer fo these crimes commuted against me? I was stopped by the police last night as some one reported me for playing load music and wheel spinning my car.This morning I have been called by the police and issued a warning. Can they do this ? The officer did not give his name ? Please see the gov.uk link here for more information. 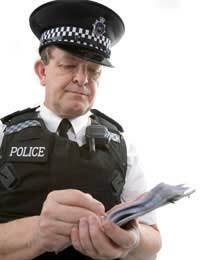 I was stopped by the police last night as some one reported me for playing load music and wheel spinning my car.This morning I have been calledby the policeand issued a warning . Can they do this ? The officer did not give his name ? We have the most horrible people living close to us in Ward Avenue in Formby. they swear and scream all night play loud music until dead of night and they think we are the idiots. I wish for the law to change to show if you create this seen you will be evicted. Please help with getting our life back. i have a asbo and im wondering if people who im not aloud to talk to report them for talking to me and trying to get me into trouble !! I am getting frequently harrassed by someone who lives in the same village! I have had to change my number, block her on Facebook, her son has abused by son and she has threatened to kill me in front of witnesses!!! but,because she didnt use a weapon it cannot be taken seriously, The police said they will refer her for an ASBO! what does this mean?